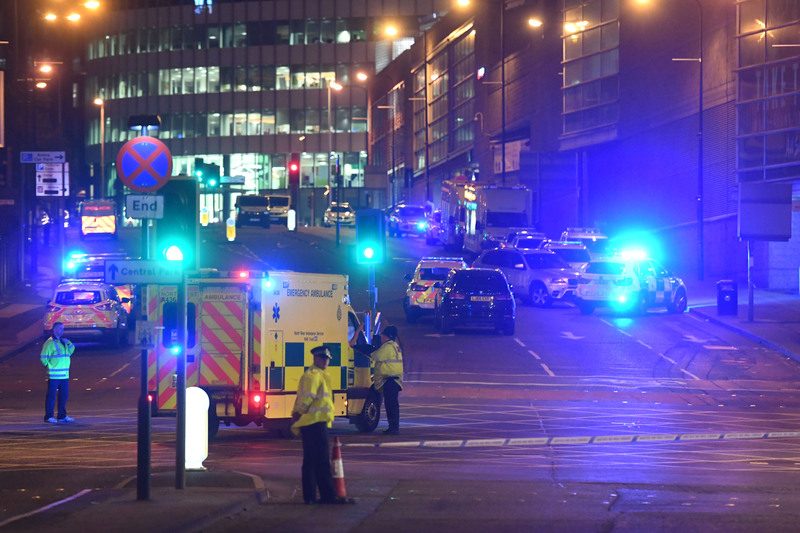 A new piece for the CTC Sentinel looking at recent terrorist attack planning in the UK, trying to identify the specific nature of the threats. For the most part, there has been little evidence at trial of direct attack planning though it certainly is something that lurks in the background of a couple. Undoubtedly a topic there will sadly be more on as time goes forwards. While clearly at the top of the Islamic State’s targeting list, the United Kingdom so far has been spared from any major terrorist atrocities at home with direct links to the Islamic State. A review of the trials of those accused of terrorist plotting in the country between 2013 and 2015 reveals that the violent Islamist threat picture has instead been dominated by lone-actor plots, with some demonstrating connections of some sort to individuals on the battlefield in Syria or Iraq. Going forward, however, the threat is likely to become more acute as the Islamic State pivots toward international terror. In October 2013, as part of a series of coordinated arrests, four men were detained for allegedly plotting to launch a “Mumbai-style” attack in London. Two men were released soon afterward while Erol Incedal, a British passport holder of Turkish-Alawite descent, and Mounir Rarmoul-Bouhadjar, a British-Algerian were brought to trial. Rarmoul-Bouhadjar pleaded guilty to possession of a bomb-making manual and was sentenced to three years in prison while Incedal instead chose to fight the charges against him. In a first for the British judicial system, the trial was held partially under secret circumstances for reasons that were not publicly revealed. The public part of this trial shed light on the accused’s travels and contacts. In late 2012 the two men tried to reach Syria through Turkey. Rather than getting across the border, however, they ended up in a safe house in Hatay full of people “engaged somewhat in the resistance against Assad.” Here they met “Ahmed,” a British-Yemeni extremist who would become a key figure in the prosecution’s case. Ahmed had spent time in France, and he claimed to have fled to the Syrian-Turkish border area as he felt under pressure from security services in the United Kingdom. In court, Incedal described him as having ‘“sympathies with the global jihad” though Incedal was also quick to highlight that he was angry at the West since some of his family members had reportedly been killed in drone strikes in Yemen. Once back in the United Kingdom, the men entered into a world of semi-criminal activity and partying. An Azerbaijani friend named Ruslan who was connected to wealthy Azeris provided them with an entrée into London’s high life. Incedal appears to have been close to the sons of the Egyptian extremist cleric Abu Hamza, who, according to Incedal, were now involved in post office robberies “because their father [had] given them the right to do it.” Incedal appears to have considered ways of working with them and of raising money to buy guns for protection during drug deals. During this time, Incedal appears to have maintained contact with Ahmed (who was either in Turkey or Syria) through Skype conversations during which they discussed sourcing weapon “straps,” getting detonators sent to the United Kingdom from Syria, and whether Rarmoul-Bouhadjar still remembered any bomb-making training he had received at the safe house. In the end the jury cleared Incedal of the charges of plotting a terrorist attack, he was found guilty of possessing a bomb-making manual and sentenced to three-and-a-half years in prison. Rarmoul-Bouhadjar, who had pleaded guilty to the same charge, served some time in prison and was discharged on restrictive release. In the second half of 2014, British authorities disrupted several separate plots involving attack planning. The missing element from this cluster of cells, however, was clear direction from the Islamic State, though there were clear sympathies. Soon after this, Hassane came back to the United Kingdom via Jordan, and planning for an attack appears to have intensified. The group started to discuss obtaining something from “Umar,” later identified as Nyall Hamlett, a man currently on trial who was identified as being involved in London’s criminal fraternities and had access to weaponry. Using all sorts of coded references, Hassane, Suhaid Majeed (an accused co-conspirator also still being tried who was studying physics at King’s College in London), and others discussed trying to obtain “straps” or “creps.” They looked for a garage in Shepherd’s Bush using an online rental manager. They also sought to obtain a moped. By September 21, with Hassane still in Sudan, the group appears to have finally been close to obtaining a gun. Majeed told the group to “make serious dua [prayer] for me,” which the prosecution suggested was the moment at which the group knew they were obtaining their weapon. A day after senior Islamic State figure Muhammad al Adnani released his infamous fatwa calling on followers around the world who had pledged bay`a to kill disbelievers “in any manner” wherever they can find them, Majeed went through an elaborate transaction to obtain a Baikal gun, ammunition, and a silencer. Once home, he searched for videos about how to handle the weapon on YouTube and spoke to his friends abroad. Not wanting to take any chances, British police moved in to arrest all of the individuals under surveillance. As Majeed’s parent’s property was being searched by armed police a gun and equipment were tossed out of the window. During the search of co-defendant Nathan Cuffy’s premises they found a series of four different guns and ammunition. All of this activity was taking place as Hassane was still abroad. On September 30 he returned home and was arrested soon afterward. Hassane pleaded guilty to the charges against him, while the other three continue to fight their charges. The al-Adnani fatwa also provided an inflection point for a third plot disrupted in the second half of 2014. The alleged co-conspirators, Haseeb Hamayoun and cousins Nadir Syed[c] and Yousaf Syed, were all from London and of Pakistani origin. The story of their plot begins in December 2013 when Nadir Syed was arrested for public order incidents and released under strict bail conditions. In breach of these, on January 19, 2014, he was stopped from boarding a plane trying to travel to Turkey, alongside his cousin Yousaf and a third man, Luqman Warsame. While Nadir was prevented from traveling, Yousaf and Warsame continued their journey. Yousaf Syed returned after spending some time in Turkey, but Warsame joined the Islamic State in Syria, from where he remained in contact with the two Syeds. Warsame’s current status is unclear. Yousaf Syed was stripped of his freedom to travel in April 2014. Nadir Syed also remained stuck in the United Kingdom, but in October 2014 he applied for a new passport from the Home Office. Like Ziamani, the group appears to have had a fixation with the murder of Lee Rigby and knives. Evidence was introduced at trial of Nadir Syed talking to others about the two Woolwich killers in 2013. Also introduced into evidence were the trio’s September 2014 WhatsApp conversations in which they shared images of the Woolwich attackers and their activity. In the wake of an attack in Australia on September 23, 2014, in which Numan Haider, a Melbourne teenager tried to stab a pair of policemen after his passport was canceled and was instead shot by the officers, the men praised the attempt and compared it to Michael Adebolajo, praising Adebolajo as a “diamond geezer” in their discussions. After a court appearance by Nadir Syed on November 6, 2014, for his public order offense charges, Haseeb Hamayoun met him outside the courtroom and the men seem to have gone straight to a kitchen shop. Soon after this, authorities decided to intervene, and all three men were arrested separately later that same day. In the end, the court was unable to reach a conclusion about Hamayoun and Yousaf Syed, though Nadir was found guilty of planning to murder a security official around Remembrance Day with a knife. Hamayoon and Yousaf Syed face a retrial. The reasoning behind Nadir Syed’s plot is best discerned from Nadir’s online commentary after Adnani’s September 2013 fatwa: “These governments need to rethink their policy…esp after Adnani’s speech, why the hell would you let an ISIS supporter stay here….in other words the muslim in the west is left with two choices, either turn back from your deen or end up in jail,” he stated. The fourth plot thwarted in the second half of 2014 was that of Kazi Islam, the nephew of Kazi Rahman, a former jailed terrorist linked to the 7/7 cell. Arrested in November 2014, Islam was jailed in May 2015 for “grooming” another young man to try to build a bomb or conduct a terrorist attack. An apparent attendee of al Muhajiroun lectures, Islam was undone when the 18-year-old he was spurring on to launch an attack failed to get the right materials to build a bomb and told friends about the plan. Although the exact nature of the plot is not entirely clear, Islam appears to have been pushing the boy to build bombs, obtain knives, and think about targeting security officials. The shambolic nature of Kazi Islam’s November 2014 “grooming” plot was matched in May 2015 when police arrested the married couple Mohammed Rehman and Sana Ahmed Khan after Mohammed Rehman tweeted from his Twitter account,[e] “Silent Bomber,” the question “Westfield shopping center of London underground? Any advice would be greatly appreciated.” The question—seeking suggestions about which target he should attempt to attack—caught the attention of authorities. Investigators uncovered Mohammed Rehman, an unemployed drug addict still living with his family. His wife, Sana Khan, also lived at home with her parents who disapproved of Rehman. The two decided that they wanted to launch a terrorist attack against the London Underground or a shopping center, with Rehman seeking chemicals online to detonate a bomb while Khan provided the funding. The couple discussed bomb tests, and Rehman eventually tested a bomb in his backyard. Two weeks after they were detected online, the couple was arrested, and after a short trial, they were given life sentences. In neither case was there any clear evidence of direction by a terrorist group overseas or links to any other plots. Both appear to be fairly classic, disconnected lone-actor plots with the only clear connections to the Islamic State being either through consumption of radical material (magazines like Dabiq), statements of intent to join the group (which apparently Kazi Islam made to his friends), or a letter that Rehman left pledging his allegiance to Abu Bakr al-Baghdadi. An alleged plot targeting the RAF Lakenheath airbase, home of the U.S. Air Force 48th fighter wing, disrupted in July 2015 was more clearly linked to external networks, though any degree of external direction is unclear and the trials are ongoing. Junead Khan and his uncle Shazib Khan (the two were so close in age, they refered to each other as cousins) from Luton are currently standing trial for planning to join the Islamic State, with Junead also accused of wanting to launch an attack in the United Kingdom against “military personnel” at military bases in Lakenheath or Molesworth. Junead apparently knew and admired another local Luton man who had gone to fight (and was subsequently killed) named Rahin Aziz. The men were allegedly in contact with a number of fighters in Syria, including the notorious British Islamic State operative Junaid Hussain who allegedly told Junead via the encrypted messaging app Surespot that “I can get u addresses but of British soldiers” and that “I can tell u how to make a bomb.” There was further evidence presented at trial from his computer and phone that he was seeking instructions on how to make explosives. The case is ongoing and is due to conclude next month. The trials have not yet revealed clear direction by the group against the United Kingdom. There have been reports that Islamic State recruiters are seeking out Europeans with links to Germany or the United Kingdom to help facilitate attacks there, but thus far, the evidence offered in courts is not as clear cut. Security authorities certainly see an escalating threat, something reflected in Assistant Commissioner Rowley’s warning that British authorities fear a spectacular Paris-style attack. While the nature of the threat in the United Kingdom is different than in France in certain respects —for example, there is easier access to heavy weaponry and ammunition on the European continent—the Islamic State itself has made clear that the United Kingdom is a priority target. Until now the public threat picture has been dominated by lone-actor plots. Going forward, however, with the Islamic State appearing to pivot toward international terrorism and around 1000 British extremists having traveled to Syria and Iraq, half of whom are still there, there is a growing danger of Islamic State-directed plots against the British homeland. [a] The British government refers to the Islamic State as Daesh. [b] Hassane went on to post his pledge in full: statement that showed “that I, poor servant of Allah, Tariq Hassan (sic), swear allegiance to the Amir of [leader] of the faithful, Abu Bakr al-Baghdadi, Abullah Ibrahim ibn Awad al-Quraishi al-Husseini, Caliph of the Muslims, he owes me to listen and obey him through thick and thin as much as I can.” Regina vs Tarik Hassane et al, January 15, 2016, p. 26. [c] Nadir Syed was part of the broader community around the al Muhajiroun community in the U.K., most clearly as part of a WhatsApp group called ‘the lads’ with prominent figures Abu Waleed and Abu Haleema. See Lisa O’Carroll, “Man convicted of planning Isis-inspired Remembrance Sunday attack,” Guardian, December 14, 2015. [d] He received a life sentence with a review in five years to see if he had been de-radicalized prior to him ascending into the adult prison population. “Anzac Day terror plot: Blackburn boy sentenced to life,” BBC News, October 2, 2015. [f] The Australian case was the aforementioned case of Numan Haider. In Canada, Quebec attacker Martin Couture-Rouleau was blocked from traveling to join the Islamic State, and Ottawa shooter Michael Zehaf-Bibeau was blocked from traveling to the region. See Allan Woods, “How Martin Couture-Rouleau became an aspiring Islamic State fighter,” Star, October 26, 2015; “How Michael Zehaf-Bibeau went from petty criminal to the face of homegrown terrorism,” National Post, November 7, 2014. Raya Jalabi, “Isis video threatening UK claims to show Paris attackers in Syria and Iraq,” Guardian, January 25, 2016. David Cameron interview with BBC Radio 4 Today program, November 16, 2015. Vikram Dodd, “Isis planning ‘enormous and spectacular attacks’, anti-terror chief warns,” Guardian, March 7, 2016. 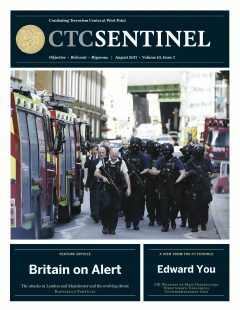 Paul Cruickshank, “A View from the CT Foxhole: An Interview with Richard Walton, Head, Counter Terrorism Command, London Metropolitan Police,” CTC Sentinel 9:1 (2016). Regina vs Incedal and Rarmoul-Bouhadjar, March 11, 2015, p. 13. Regina vs Incedal and Rarmoul-Bouhadjar, March 11, 2015, p. 16. Regina vs Incedal and Rarmoul-Bouhadjar, March 11, 2015, p. 41. Regina vs Incedal and Rarmoul-Bouhadjar, March 11, 2015, p. 49. Regina vs Incedal and Rarmoul-Bouhadjar, March 13, 2015, p. 49. Regina vs Incedal and Rarmoul-Bouhadjar, March 12, 2015, p. 41. Regina vs Incedal and Rarmoul-Bouhadjar, March 12, 2015, pp. 7-8. “Erol Incedal Jailed for 42 months over bomb-making manual,” BBC, April 1, 2015. (Typos as rendered in the document) Regina vs Ziamani, February 9, 2015, p. 4. Regina vs Ziamani, February 9, 2015, p. 6. Regina vs Ziamani, February 9, 2015. Regina vs Tarik Hassane et al., January 15, 2016, p. 68. Regina vs Tarik Hassane et al., January 15, 2016, p. 69. Regina vs Tarik Hassane et al., January 15, 2016, p. 87. Regina vs Tarik Hassane et al., January 15, 2016, p. 95. Regina vs Tarik Hassane et al., January 15, 2016, p. 101. Regina vs Tarik Hassane et al., January 15, 2016, p. 109. Sebastian Mann, “Terror accused have told ‘buffed and polished’ lies to mask guilt, court hears,” Evening Standard, March 8, 2016. Regina vs Hasib Hamayoon et al., October 8, 2015, p. 6. Regina vs Hasib Hamayoon et al., October 8, 2015, p. 9. Regina vs Hasib Hamayoon et al., October 8, 2015, p. 11. Melissa Davey, “Police had no choice but to shoot Numan Haider, inquest hears,” Guardian, March 7, 2016. Regina vs Hasib Hamayoon et al., October 8, 2015, p. 21. Regina vs Hasib Hamayoon et al., October 8, 2015, p. 34. Lisa O’Carroll, “Man convicted of planning Isis-inspired Remembrance Sunday attack,” Guardian, December 14, 2015. Tom Whitehead, “Extremists allowed to leave UK to ease home terror threat,” Telegraph, December 15, 2015. Regina vs Hasib Hamayoon et al., October 8, 2015, p.20. Duncan Gardham and Amanda Williams, “Teenage Islamic terrorist who groomed man with learning difficulties to carry out Lee Rigby-style attack on British soldier is jailed for eight years,” Daily Mail, May 29, 2015. “Anzac Day terror plot: Blackburn boy sentenced to life,” BBC News, October 2, 2015. Dan Oakes, “Numan Haider inquest: Anzac Day terror accused Sevdet Besim called to give evidence,” Australia Plus, March 7, 2016. Joshua Robertson, “Neil Prakash, Australia’s most senior operative in Islamic State, reported dead,” Guardian, January 31, 2016. Regina vs Mohammed Rehman and Sana Ahmed Khan, November 14, 2015. Tom Whitehead, “7/7 suicide bomb plot couple jailed for life,” Telegraph, December 30, 2015. Tom Whitehead and David Barrett, “Middle class daughter of magistrate who turned to suicide bomb plotter,” Telegraph, December 30, 2015. “Man allegedly planned Lee Rigby-style attacks on US soldiers in UK,” Guardian, February 17, 2016. Regina vs Junead Ahmed Khan and Shazib Ahmed Khan, February 12, 2016. “Alleged extremist accused of ‘planning attack on RAF base in East Anglia’ takes stand in trial,” Cambridge News, March 4, 2016. “You will lose the feeling of being a human being,” BBC Radio 4 PM, February 22, 2016. Patrick Wintor and Shiv Malik, “Hundreds of Britain caught trying to join jihadis, says Foreign Secretary,” Guardian, January 15, 2016. And more catch up posting, this time in Italian for the excellent think tank Twai’s publication Orizzonte Cina. This one was actually initially written a bit in English and a bit in Italian (thanks to Giovanni for commissioning and Simone for editing and translating! ), so am not going to re-print here completely in English, but am sure people can figure this out or it gives you an opportunity to learn a beautiful language. Annunciata in due fasi dal presidente Xi Jinping e dal premier Li Keqiang, la strategia “Una cintura e una via” è il nuovo orientamento della politica estera di Pechino su cui oggi sembrano concentrarsi quasi tutte le discussioni tra esperti d’Asia. Presentata al mondo prima nel settembre del 2013 ad Astana come “Cintura economica della via della seta”, e poi mesi dopo in Indonesia come “Via della seta marittima del XXI secolo”, le finalità di questa nuova strategia non sono sempre ben definite. Per capire meglio l’indirizzo che la Cina sta prendendo bisogna guardare a ciò che Pechino sta facendo in Asia centrale: è l’Asia centrale, infatti, la pista di lancio di questa nuova iniziativa. Descritta dal geografo inglese Halford Mackinder come “il fulcro dell’Eurasia”, l’Asia centrale è al centro del pensiero strategico da secoli. Per la Cina essa ha un’importanza anche maggiore per via della sua vicinanza allo Xinjiang – a tutti gli effetti una parte di Asia centrale dentro ai confini della Cina. È una regione ricca di risorse naturali ma popolata da una minoranza uigura profondamente scontenta del governo di Pechino. Una rabbia che si è intensificata fino al punto di scatenare ripetuti episodi di violenza, con apice nel luglio del 2009, quando gruppi di uiguri ad Urumqi (la capitale regionale) aggredirono cinesi han. In seguito alle violenze, che sono durate un paio di giorni, il governo di Pechino ha dato attuazione a una strategia volta a migliorare la situazione regionale con un enorme investimento economico. Pechino scommette sul fatto che la promozione del benessere economico sia sufficiente a mitigare il malcontento sociale e a soddisfare le rivendicazioni della popolazione. Il risultato è una corsa allo Xinjiang: altre province si sono date l’obiettivo di investire in aree dello Xinjiang, inviando funzionari del Partito a lavorare a fianco delle autorità locali per trasmettere le ricette applicate con successo nel resto del paese. Una percentuale del Pil di ogni provincia cinese viene dirottata verso lo Xinjiang e le grandi imprese statali che investono nella regione sono tenute a lasciarvi una quota dei loro profitti maggiore della norma. Questo sul fronte interno; le imprese straniere, a loro volta, sono incentivate ad aprire stabilimenti nella regione attraverso sostanziosi benefici e agevolazioni. Il problema, però, è che – come il resto dell’Asia centrale – lo Xinjiang è lontano dalle rotte oceaniche e dalle vie commerciali tradizionali. Per rendere profittevoli gli investimenti nella regione la Cina deve perciò puntare sull’apertura dei mercati limitrofi tra I paesi dell’Asia centrale e costruire una nuova rete infrastrutturale che li colleghi tra loro. Il risultato è un’enorme spinta allo sviluppo regionale con le grandi banche statli cinesi (come la Exim Bank o la China Development Bank) pronte ad offrire ai governi dell’Asia centrale prestiti a tasso agevolato, a condizione che i progetti su cui vengono investiti vengano realizzati da aziende cinesi – generalmente con manodopera cinese e utilizzando prodotti cinesi. Per i paesi dell’Asia centrale si tratta di proposte attraenti: la Cina rappresenta una fonte d’investimento più solida della Russia, più generosa di altri paesi asiatici come il Giappone e la Corea del Sud, e più affidabile dei paesi europei e degli Stati Uniti. È una dinamica in atto da più di un decennio: la Cina sta diventando la potenza che persegue con più efficacia i propri obiettivi in Asia centrale, mentre – poco per volta – le strade e le infrastrutture della regione si riorientano da Mosca verso Pechino, via Urumqi. È questa la situazione che la nuova amministrazione di Xi Jinping ha ereditato quando è andata al potere nel novembre del 2012: una relazione con l’Asia centrale costruita su finanziamenti e imprese cinesi, di cui entrambe le parti sono soddisfatte. I paesi della regione sono infatti favorevoli a questa nuova fonte di investimenti, con disponibilità economiche apparentemente illimitate e scevra dalle aspettative di dominazione politica che accompagnano invece gli investimenti russi, nonché dalle condizioni politiche poste da Europa e Stati Uniti. L’esperienza centrasiatica ha insegnato a Pechino quali siano le leve più efficaci per affermare gli interessi nazionali cinesi sulla scena internazionale. A Pechino prevale ancora un approccio incentrato sul principio di non interferenza negli affari altrui, che consente di operare all’estero senza crearsi nemici. Vi è anche una spinta a riprodurre globalmente il modello sperimentato in Asia centrale: dalla “Cintura economica della via della seta” annunciata ad Astana alla “Via della seta marittima del XXI secolo”, al “Corridoio Bangladesh-Cina-India-Myanmar”, al “Corridoio economico Cina-Pakistan” e a una serie di proposte per altre vie che si sviluppano a partire dalla Cina. Nel loro insieme, questi progetti costituiscono l’iniziative ‘Una cintura e una via’, che mira a ridare alla Cina centralita nella rete internazionale di vie commerciali, aprendo nuovi mercati e riorientando le vie commerciali della regione per rafforzare il ruolo di pivot del paese. Sin dall’inizio del suo mandato, Xi Jinping ha sottolineato l’importanza della diplomazia economica. Nel gennaio del 2013, in un discorso all’Ufficio politico del Comitato centrale, Xi ha sostenuto che la Cina non avrebbe “mai perseguito l’obiettivo del proprio sviluppo al costo di sacrificare gli interessi di altri paesi”. Questa dichiarazione evidenziava l’importanza degli interessi reciproci come nucleo centrale della strategia cinese verso l’esterno. Lo stesso aspetto veniva evidenziato in settembre ad Astana all’interno del famoso discorso sulla ‘Cintura economica della via della seta’ pronunciato da Xi all’Universita Nazarbayev, nel quale il presidente cinese auspicava che “la Cina e l’Asia centrale [unissero] i propri sforzi per costruire una cintura economica della via della seta che [rafforzasse] la cooperazione”. Lo stesso punto veniva nuovamente ribadito nell’ottobre di quello stesso anno, durante la Conferenza sul lavoro diplomatico nella regione, laddove Xi delineava una lista di priorità in politica estera verso l’“obiettivo di realizzare la grande rinascita della nazione cinese; sviluppare complessivamente le relazioni con i paesi della regione; consolidare l’amicizia con i vicini; approfondire forme di cooperazione reciprocamente vantaggiosa; preservare e impiegare al meglio l’importante periodo di opportunità strategica per lo sviluppo della Cina; preservare la sovranità nazionale, la sicurezza e gli interessi dello sviluppo; impegnarsi per migliorare la relazione politica della Cina con I paesi della regione; consolidare i legami economici, approfondire la cooperazione di sicurezza e intensificare gli scambi culturali tra la Cina e i paesi della regione”. L’attrattiva di un simile modello è facile da comprendere, da un punto di vista cinese. La combinazione di vie commerciali, investimenti nelle infrastrutture, prestiti agevolati e mercati aperti fa leva su una serie di strumenti che I policy-maker cinesi conoscono bene. Si tratta di strumenti che corrispondono alla nozione cinese di benefici armoniosi e di vantaggi condivisi, e che mirano a ricollocare la Cina al centro della struttura economica globale. Sono strumenti che I policy-maker cinesi sanno come utilizzare: prestiti agevolati e finanziamenti vengono forniti attraverso banche quali la China Development Bank o la ExIm Bank, mentre l’attuazione dei progetti è affidata a imprese di Stato cinesi che hanno esperienza nella realizzazione di grandi progetti infrastrutturali in contesti difficili. Nel quadro dell’iniziativa “Una cintura e una via”, ciò si è concretizzato in una forte proiezione finanziaria cinese. Sia la China Development Bank che la ExIm Bank hanno articolato una propria strategia per “Una cintura e una via”, ma – accanto a questi veicoli tradizionali – la Cina ha iniziato a promuovere la creazione di nuove partnership bilaterali. Non solo: oltre all’approccio bilaterale Pechino ha promosso un’intera rete di nuove istituzioni internazionali, costitute appositamente per finanziare la nuova iniziativa. Queste istituzioni assumono tre diverse forme. Alcune sono create su proposta e sotto la guida cinese; la più significativa è la Banca asiatica d’investimento per le infrastrutture (Aiib), con un capitale di 100 miliardi di dollari. Altre sono create con il sostegno di Pechino, come la Banca di sviluppo dei Brics (pure dotata di un capitale di 100 miliardi di dollari) e la Banca di sviluppo dell’Organizzazione per la cooperazione di Shanghai, ancora in attesa del varo; infine, crescono a ritmo sostenuto gli accordi bilaterali in materia commerciale e di investimento che la Cina sta concludendo con i suoi vicini – ad esempio l’accordo per l’investimento di 46 miliardi di dollari per il Corridoio economico Cina-Pakistan, annunciato da Xi Jinping durante la sua visita di quest’anno a Islamabad. In aggiunta, la Cina ha annunciato la creazione di un Fondo per la via della seta del valore di 40 miliardi di dollari con un board of advisors che include esperti della Urumqi Central Bank. È attraverso questa rete di istituzioni finanziarie che viene fornita la liquidità necessaria a finanziare l’iniziativa “Una cintura e una via”. Destinatari dei finanziamenti sono i paesi vicini: per esempio, il progetto di Corridoio economico Cina-Pakistan, in particolare alcuni progetti “early harvest” nel settore dell’energia in Pakistan, saranno i primi beneficiari di finanziamenti dal Fondo della via della seta. Ma i finanziamenti finiscono per la maggior parte a imprese di Stato cinesi impegnate a dar sostanza alla retorica dei leader. Per avere un’idea di quali imprese il governo cinese intenda sostenere con l’iniziativa “Una cintura e una via” basta del resto guardare al progetto di China securities index e Shanghai stock exchange per la creazione di un “indice congiunto che rilevi le performance delle azioni che ricadono entro l’iniziativa ‘Una cintura e una via’”. Composta da 52 imprese attive nei settori di “costruzione di infrastrutture, trasporti, produzione di energia e comunicazioni”, la lista offre una chiara indicazione di quali siano – nelle aspettative di Pechino – i beneficiari dell’iniziativa. La strategia potrà avere successo? Ma quante concrete possibilità di successo ha questa ambiziosa strategia? Secondo il Ministero del commercio della Repubblica popolare cinese, nella prima metà del 2015 le imprese cinesi hanno investito circa 7,05 miliardi di dollari in 48 paesi collocate entro il perimetro dell’iniziativa. Ma ciò non elimina del tutto i dubbi sulla concreta realizzabilità della strategia. In Asia centrale, in particolare, ha colto alcuni successi, ma ha anche incontrato ostacoli destinati a manifestarsi altrove. La logica sottesa alla strategia può apparire benevola. L’apertura di corridoi commerciali, con grandi investimenti e con il coinvolgimento di imprese in grado di realizzare i progetti, garantirà vantaggi in termini di nuove reti infrastrutturali ad alcuni dei paesi più poveri della regione. Ma vi sono dubbi sui vantaggi che questi paesi potranno trarre al di là del mero investimento in infrastrutture. Per i paesi dell’Asia centrale, per esempio, non è chiaro quanto la visione di nuovi corridoi commerciali che li attraversano possa realmente aiutarli nello sviluppo delle proprie economie nazionali. Questi paesi puntano a sviluppare industrie nazionali – ma se si parla con uomini d’affari e commercianti della regione, tutti esprimono la preoccupazione di essere espulsi dal mercato dall’arrivo delle più competitive imprese cinesi. Un ulteriore dubbio è se i paesi della regione siano nelle condizioni di beneficiare realmente dell’iniziativa. L’apertura di corridoi commerciali è finalizzata a creare nuove vie di trasporto per i prodotti, ma nulla garantisce che ne derivino automaticamente vantaggi anche per i cittadini dei paesi di transito. In Pakistan si è cercato di ovviare a questo rischio attraverso l’istituzione di zone economiche lungo il Corridoio economico Cina-Pakistan, ma sarà necessario del tempo prima che queste decollino. Infine, tutto ciò non risolve i problemi di sicurezza che avranno con ogni probabilità un impatto su molte delle vie di comunicazione create sotto l’egida di “Una cintura e una via”. In aggiunta alle tensioni nelle relazioni tra la Cina e buona parte dei suoi vicini marittimi (che in teoria dovrebbero cooperare nel progetto della Via marittima della seta), vi sono i problemi di sicurezza di Asia centrale e meridionale: instabilità in Belucistan e in Myanmar, gruppi terroristici attivi in Afghanistan e capaci di espandersi in altri paesi dell’Asia centrale. Alcuni di essi hanno contatti con gruppi dissidenti uiguri, il che rinvia a quelle stesse minacce che la Cina cerca di attenuare attraverso la propria strategia di investimenti in Asia centrale. Queste sono parti del mondo in cui è difficile per chiunque investire, non solo a causa della mancanza di infrastrutture ma anche per i diffusi problem di corruzione e per i gravi deficit di governance. Nonostante ciò, la visione di “Una cintura e una via” è destinata a diventare la fondamentale direttrice della politica estera di Xi Jinping. Delineata in termini sempre più chiari, e sostenuta dai necessari finanziamenti, essa sta ora muovendo dall’elaborazione retorica all’azione. È presto per dire se sarà coronata da successo, ma la rotta è tracciata ed è già stata sperimentata in Asia centrale. Xi Jinping e la sua cerchia hanno certo letto Mackinder: l’Occidente farebbe bene a concentrarsi su come rispondere al meglio all’agenda di politica estera che la Cina sta articolando.